This fabric is in perfect shape. It is a light to medium weight and has a stiff drape due to the starch used when it was placed on the bolt. It will become softer and have a more fluid drape after laundering. The tag on the fabric states that it was dyed using traditional techniques and it should be washed in cool water and rinsed until the water is clear. 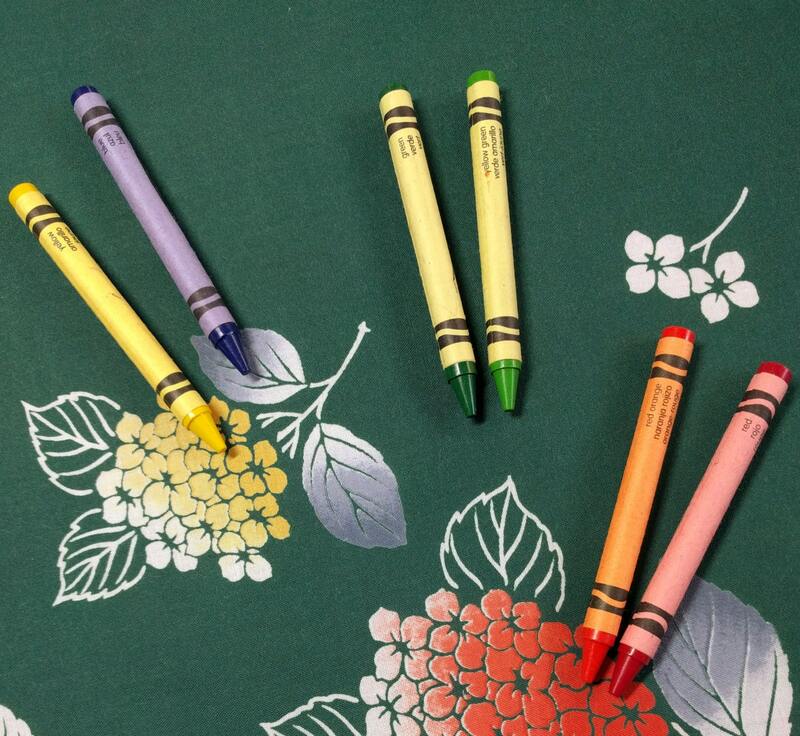 It also states that the color could transfer to light fabrics so I recommend washing this fabric prior to using it. 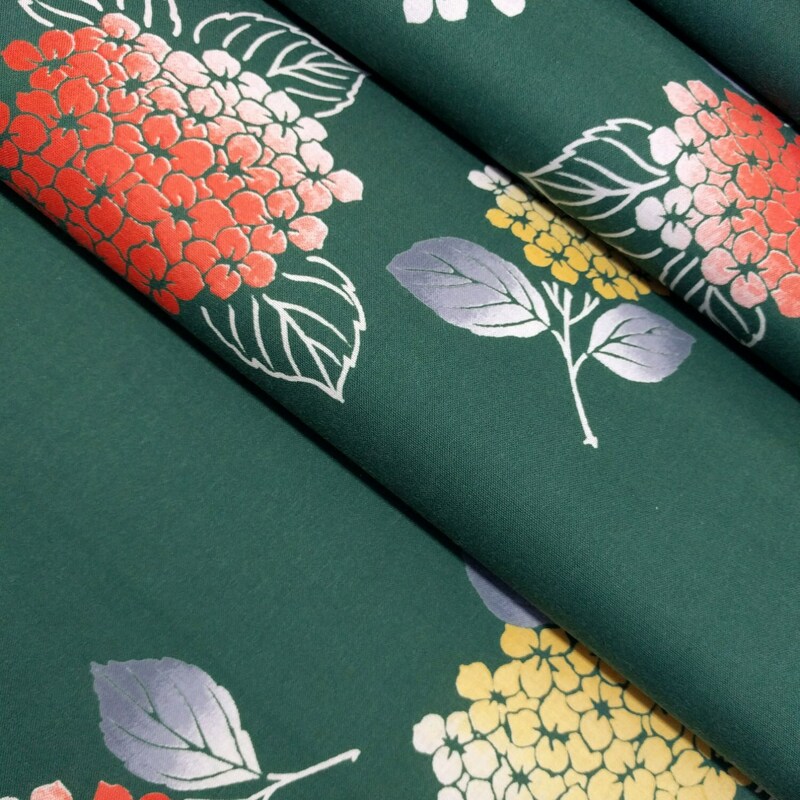 The fabric has a dyed, hydrangea flower pattern in colors of red-orange, blue-grey, white and yellow over a darker green background. 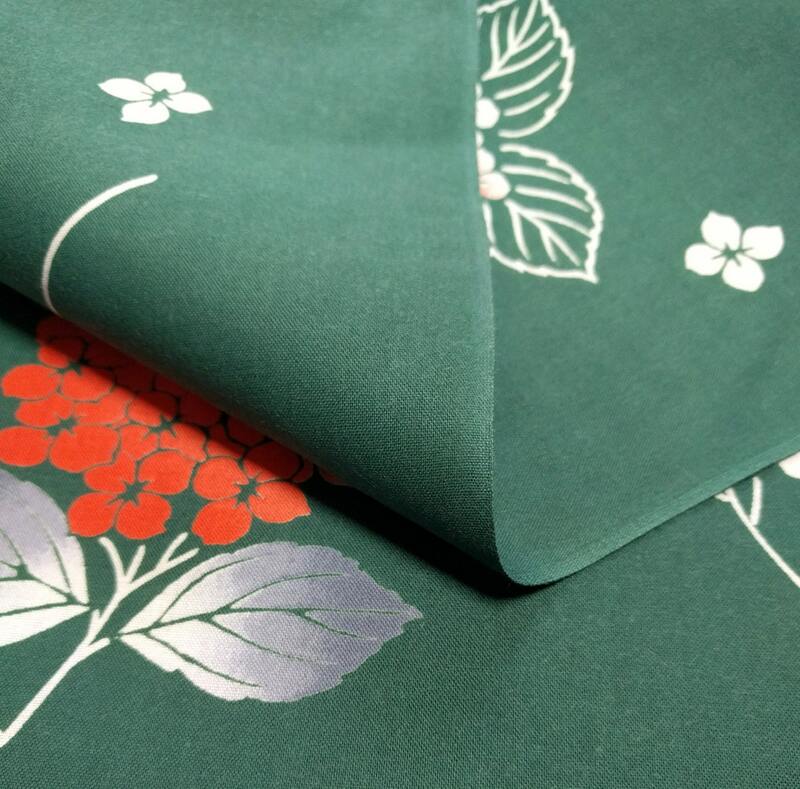 I do not see many green yukata fabric and this one is very beautiful. The green is not a bright green. It reminds me more of a pine green. 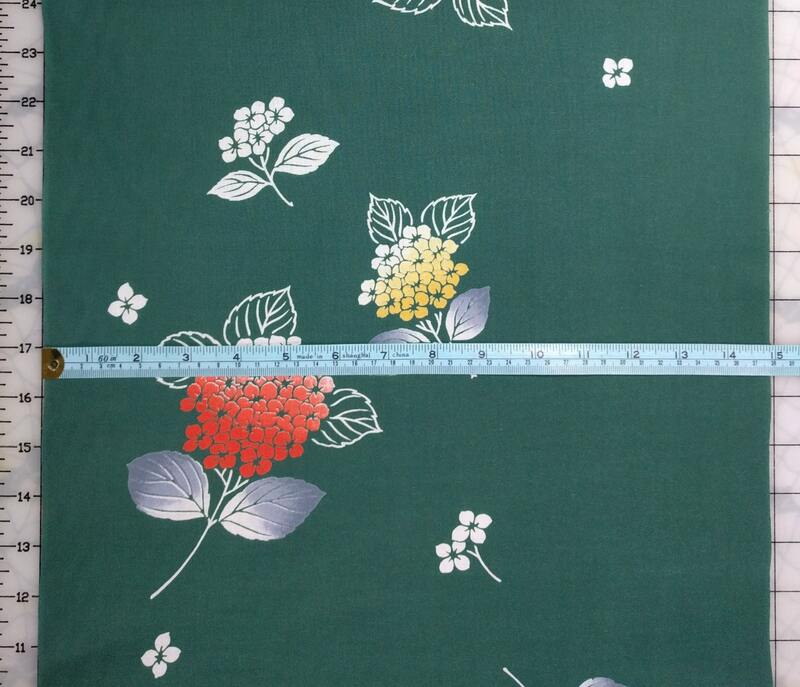 -Fabric is 14 7/8 inches (37.8 cm) wide. Beautiful fabric, exactly as described. Really fast shipping. Excellent communication!